Brother Buzz Brother Buzz has been rockin' San Francisco and environs for over fifteen years. The band consistently gets high marks for energy, enthusiasm, and for being just plain fun. Tight but not too tight, they lay down the best of America's roots music, rock'n' roll, R&B, blues, and funk. All members sing when prompted, so besides good rockin', they also dish up plenty of variety. Rockin' Roy McKinney: Drums, vocals. 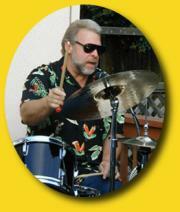 The Harley Davidson of drummers, Roy has been rockin' steady around the bay ever since he purchased his Ludwigs in 1965. 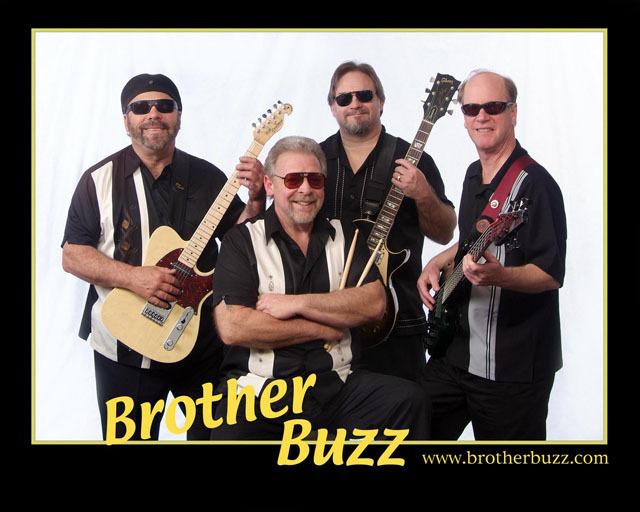 The versatility of Brother Buzz starts with Roy's poppin' backbeat and his ability to sing rock, blues, and funk with soul to the bone. Roy's musical philosophy: If ya can't dance to it, we don't play it! 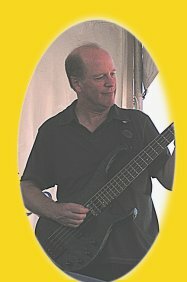 John served his apprenticeship playing in both orginal and cover bands around the Bay Area until meeting Roy McKinney in 1987. John's playing is steeped in the tradition of players such as Chuck Berry, Eric Clapton, and BB King as well as modern blues players like Stevie Ray Vaughn and Robben Ford. John mixes these influences with his own high energy playing and singing style that has earned him the title of "The sweatiest guitar player in San Francisco." Brother Buzz's own King of Cool, Bob Noto spent many years playing lead guitar for the Ethics and he toured with the Coasters. A master of many styles, Bob is as comfortable laying down swingin' jazz accompaniments as he is playing rock or blues through his Fender Super Reverb . 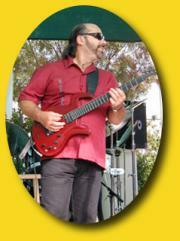 Tom is a distinctive bass player and a soulful singer. As his nickname says he "drops it in the pocket". He is a founding member of the eclectic-sounding 70's band Promised Land , and has played for over fifteen years with the Tommy Meisel Blues Band. 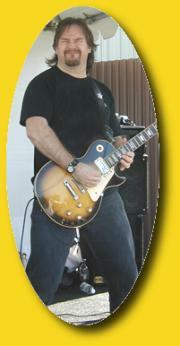 Other bands Tom played with include Americana/Roots-Rock bands Looking for the Good and Boogieman. Since 2003 Tom has performed with the Jerry Garcia-inspired Mystery Cats in the annual Jerry Garcia Day festival in San Francisco's McClaren Park. In 2004 Tom joined forces with John Hall in the acoustic band Tonal Recall.